Jammu & Kashmir offers some of the most exciting Hiking in destinations in world, In Indian himalayas hiking can be done in so many states. But in Jammu and Kashmir Ladkah and Zanaskar region are best for hiking. Hiking does not require an experienced walker. You have to be fit and healthy and courageous enough to take up challenges. 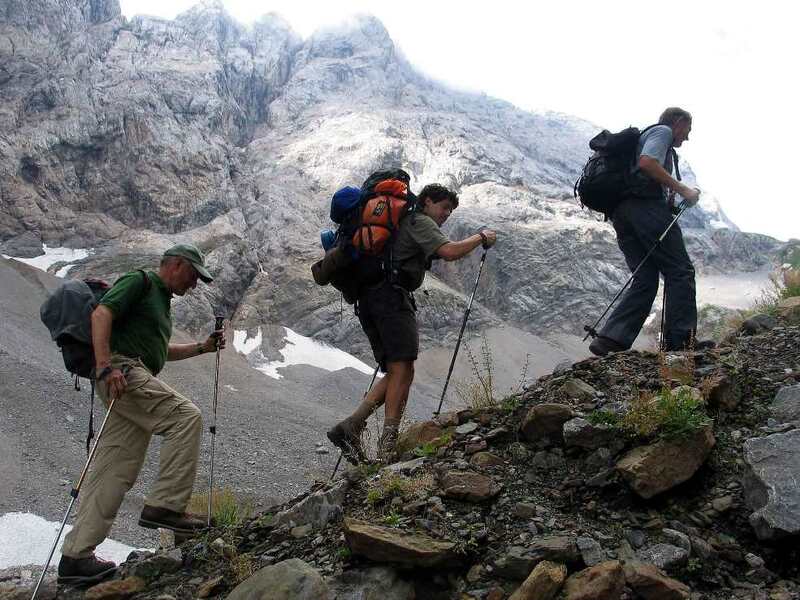 In India, Hiking is not just restricted to Himalayan regions, the lower altitude regions of the Western Ghats and Nilgri Hills also provide some pretty good options to enjoy a nice hike.Ofcourse hiking involves walking, but there are certain things every hiker should keep in mind, before taking up the next hiking trip. Firstly, the clothing should be of a fabric that provides a breather to your skin and allows your body to shed excess heat and sweat while feeling dry, so avoid cotton because it retains sweat and doesn't release it to evaporate. For cold weather, look for polypropylene such as Capilene, Thermion, Thermax and Thermastat or silk undershirt. For warm weather - CoolMax, Supplex, or polyester microfiber are good choices for base covering. Upon this you could wear a shirt and pants of wool, fleece, pile, or down. A windproof and water-resistant jacket worn loosely also works as a good clothing option, which can be removed when you start feeling warmer after walking.The right hiking shoes for your feet can make all of the difference for walking comfort and an enjoyable hike tour. A hiker should also have a variety of shoes to meet different climates and surfaces. If your walks are taking up natural paths and off-beaten tracks, you may want more rugged shoes. Look for the lighter weight variety shoes for hike and those with some flexibility and are waterproof. The socks should also be made from CoolMax, polypropylene, or other woven fabric as they wick away the sweat to evaporate and help prevent blisters. Other things that a hiker has to carry include hat, waist packs, hike backpacks, water bottles, sunscreen and hike tour route maps.